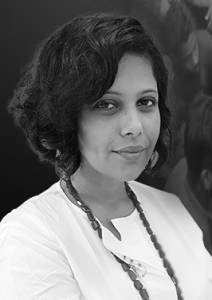 Sunetra Choudhury is a Delhi-based journalist who was, until recently, political editor with NDTV, a major national news channel based in Delhi. She is also the author of two books including Braking News, a reporter’s travelogue of the 2009 Indian general elections. 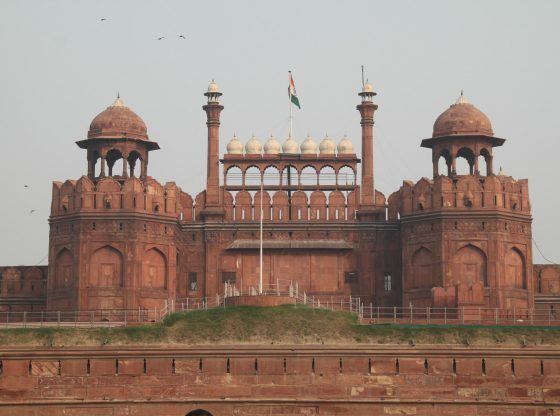 Carole Spary, Deputy Director of the Asia Research Institute (ARI) at the University of Nottingham, caught up with her to ask a few questions about her experience of covering elections in India and what she thinks will be the key things to look out for in the 2019 elections. CS: Your book, Braking News, was a roving reporter account of the 2009 election, where you recounted your experiences of touring the country by bus, covering the election in different states. Can you tell us what you think has changed since that election, both in terms of the issues and in terms of covering the election as a journalist? What, if anything, has remained the same? SC: In the last decade, it seems India has dramatically changed. In 2009, I remember there were limited issues and the nationalism narrative, which has a top recall at the moment, was nowhere in sight at the time. The whole `India First’ narrative, which is very similar to Donald Trump’s `Make America Great Again’, is one which is being stressed by the ruling party, and the opposition is struggling to make what they call the `real’ issues of jobs, price rises, the agricultural crisis matter to voters. 2009 wasn’t so much a personality-based, presidential fight, whereas 2019 is all about Narendra Modi. His party men are banking on his popularity and asking for re-election so that the strong leader can deliver on his promises. The opposition too is gunning only for him with their slogan ‘Chowkidarchor hai’ or `The gatekeeper is corrupt’. What remains the same, however, are issues of communalism and caste. If in 2009 Varun Gandhi became the BJP’s poster boy after warning Muslims against daring to attack the majority Hindus, there is now an abundance of champions of Hindus. It’s only become less apologetic and doesn’t meet with as much outrage as it did in 2009. The caste factor, like in 2009 and every election, also continues to be a key factor. The opposition is hoping that Dalit and upper caste anger against the ruling party [the Bharatiya Janata Party (BJP) led by Modi] will go in their favour. CS: Which aspects of reporting on an election interest you the most? Which are the most satisfying? Do you have any particularly memorable moments from previous elections? SC: I love the surprise element in covering elections, discovering things you just didn’t know. For instance, going to a Meerut Dalit colony two years ago before the Uttar Pradesh (UP) polls, I met a young woman who told me why she admired Narendra Modi even though her parents were living in a home that was made by Mayawati. I discovered in Rohtak in 2009 something that many are talking about a lot in India today–that young women were not encouraged to have voter cards till they got married. Apparently, it is due to multiple factors–they don’t want to reveal their age, or they want the husband’s family to take such decisions, etc.– but now there is a huge gap in the number of women voters in the country and it gave me an insight about how voting can be a gender issue. CS: What are the most challenging aspects of covering an election as a journalist? SC: The most challenging bit about covering an election is figuring out who is winning. If there’s one thing two decades of reporting have taught me, it is that very few get the prediction right, so I don’t feel confident doing so. Maybe I will learn and be able to pick up that skill one day. The best part is that everyone in Delhi or anywhere else is really interested to know our perspective just because we are journalists–they expect us to have all the answers. It’s a fine balance to tell them what we’ve learnt without making any predictions. I find it safest to just tell everyone what I’ve heard from various groups while travelling. CS: With the elections taking place over several phases across April and May, (how) do journalists have to plan for that kind of endurance? What advice would you give to a reporter for whom this is their first election? SC: Very few organisations now have the kind of resources I had in 2009 when I travelled to every state and reported live daily over two months. If given an opportunity, any reporter would love to do that but it is terribly expensive and now it is wiser to have many share that and travel in one particular region instead of across our vast country. The best piece of advice I would give to any young reporter is not to be swayed by what they read from other journalists. I would suggest they trust their gut and report on things they find interesting and would read or like to watch. Only then does the reportage get a fresh makeover. No one wants to read the kind of constituency profiles or campaign trails that we did when we first started. It’s nicer to focus on personalities, on the quirks of Indian elections and also to see how global trends matter or don’t matter locally. In this age of #MeToo and at a time when all parties are talking so much about women’s empowerment, I would love to see the challenges of women candidates being reflected in stories more. CS: Several commentators have suggested that in this election, women voters, as well as youth voters, will play a key role. How do you think that might play out in this election? SC: I see the impact all around me. Since women voters started outnumbering male voters in several areas in recent elections, we’ve seen two political parties make commitments about women’s reservation–the Biju Janata Dal (BJD)joined the Congress in having that stand. We’ve also seen the BJP government push the Triple Talaq law as a pro-Muslim women move ever since the UP elections. Their other pitches include the Ujjwala scheme, which claims to make cooking gas more accessible and providing greater maternity leave for the government sector. However, while talking about issues that matter to women, political parties have fallen short of giving enough tickets to women – other than, perhaps, Trinamool Congress. We also see how those that were accused of sexism, those that indulge in misogyny continue without censure from their parties, which is quite a comment on how much women really matter to mainstream political parties. CS: Is there anyone among the younger generation of political leaders that you find particularly impressive? Do you have any favourite or memorable interviews with candidates from previous elections? SC: I love interacting with politicians and figuring out what makes them tick or win elections. The tough bit is getting them to trust you or talk to you. People like Anurag Thakur and Nishikant Dubey in the BJP, Anupriya Patel of Apna Dal, Dushyant Chautala formerly of INLD, MB Rajesh of CPM, Sushmita Dev and Ranjeet Ranjan of Congress, are all people who are generous enough to answer our questions and give us a perspective. CS: Having covered elections in different states, do you find there is a different flavour to elections in different regions? SC: Definitely, there is a unique flavour to elections in every region. In Amrawati, for example, it gets so hot that people campaign early morning and late evening. In Maoist areas, they have separate campaigning schedules, keeping security concerns in mind. In some areas, weddings are great opportunities for candidates to network. Other than these factors, there are major sociological influences too that make the exercise diverse. CS: What, as an experienced journalist, would you recommend to keen observers to watch out for in these elections? SC: There are several aspects which make this election very exciting. For one, there is the opposition versus BJP campaign. The unity isn’t working very well among the opposition but this is the big theme for 2019 and will continue to be the factor to look out for in various regions across the country. For instance, will Rahul Gandhi fight from Southern India and how will it impact on opposition unity if he fights from Kerala, where the left is in government? While the Modi factor is the biggest one, the Priyanka factor may be a far more colourful phenomenon to watch out for in these elections. She seems to be hinting about being a possible candidate in Varanasi, which will be a gamechanger if it happens, but even if it doesn’t happen, it’s still a very interesting factor. There are various young people and students who are fighting elections this time and it is important to keep an eye on them because they are all candidates who are first-generation politicians with no backing from any major political party: Kanhaiya Kumar, Shehla Rashid and even the young former IAS officer Shah Faisal. On the other side, the BJP has fielded their breakout star, Sambit Patra, whose rise in the party has been phenomenal. And finally, there’s Team Rahul vs. Team Modi. In 2014, Team Modi far outwitted the Congress campaign with its imaginative ideas for campaigning and caste equations. Already they’ve demonstrated some of that skill by turning around the `chowkidar’ attack as something to take pride in. However, what’s different in 2019 is that Team Rahul is fighting back. First with the income support to farmers and now with the NYAY scheme (proposed basic income support scheme) that seems to have hit the ruling party. Do they have more ideas up their sleeve which will give Team Modi a run for their money? *The interview was conducted via correspondence on 29 March 2019. Southeast Asia’s competitive sub-regionalism: Overlap and superfluity?